On December 8. I wrote about the “Goat Fund Me” campaign in Nevada City for fire supression, thanks to Reinette Senum. The post is here. We donated, and I also suggested that Reinette contact the regional and national press for coverage. Since then, this story has aired on the local TV stations, and L.A. Times, among other publications. 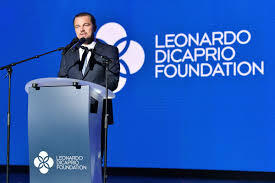 Now I see the Leonardo DeCaprio Foundation has donated $1,000 to the effort. Good going Leonardo! Good going Reinette!